Robert Newton stars as Captain David Grant, a high-ranking officer of British Military Intelligence during World War II who leads the hunt for scientist Nils Erich Hansen, believed to be on the verge of developing the atomic bomb for the Nazis. 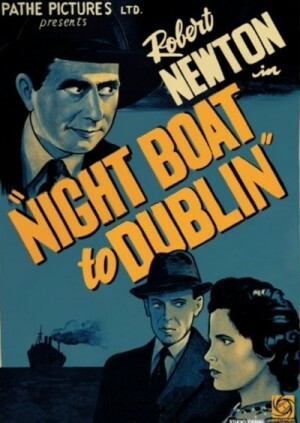 The film opens with the interrogation of a man named Frederick Jannings, who was on his way from Holyhead in northwest Wales to deliver documents about the progress of the bomb to an enemy kingpin, Keitel (Herbert Lom) hiding out in neutral Ireland. Jannings' refusal to answer their questions and his resultant execution prompt Grant and an assistant, Captain Wilson, to hop the titular craft personally to track down Keitel. Their quarry is found, but they soon learn that the real key figure in tracking down Professor Hansen is a man named Faber.